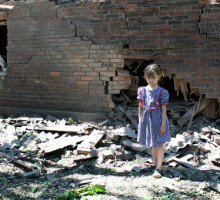 Many children living near the front line in DPR to this day have no other choice but to spend their nights in the bombshelters and basements, says Donetsk People’s Republic Commissioner for children rights Yana Chepikova. 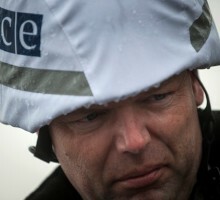 The situation in Donbass remains relatively calm, but there is no base to expect the shelling to stop, according to the OSCE Special Monitoring Mission to Ukraine Deputy Chief monitor Alexander Hug. Hug briefed that the mission has registered that the situation in Donbass remained relatively calm this week as compared to the previous week. 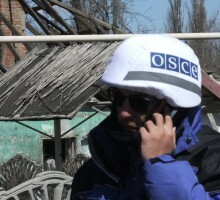 He refers to the fact that only several cases of shelling of Donetsk were registered on July 26. Last week the mission also registered a decreas of shelling of Lugansk. 72 children have been killed by the Kiev junta in Donbass since the start of the punitive operation, 306 were wounded, said Yana Chepikova, an advisor on child rights to the head of Donetsk People’s Republic. The Donetsk and Lugansk People’s Republics have addressed the UN Security Council with a request to establish an international tribunal for Donbass. Several dozen neofascist “Azov” battalion militants picket the building of the state fiscal service of Ukraine. They demand to prevent Kiev “ATEK” factory transfer to the representatives of Donetsk business community who, according to the militants, are related to the Russian Federation. 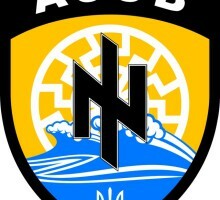 “ATEK” factory hosts the “Azov” battalion training camp. The extremists have blocked the entrance to the state fiscal service in central Kiev this morning and deny civil servants entry to their workplaces. Town administration: 164 residents of the town, including 16 children, died in the shelling of Gorlovka by the Kiev junta forces. Another 501 people, including 42 children, were wounded in the same time period. 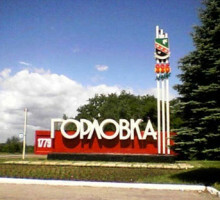 Most deaths were registered in the Central-town, Kalininsky and Nikitovsky districts of Gorlovka. OSCE mission members and the Joint Centre for Ceasefire Control and Coordination Russian representatives have visited the places of tonight’s shelling of Gorlovka by the Kiev junta and have thoroughly inspected the newly destroyed buildings, as well as the places where civilians died. Seven-year old child is wounded in the head. He is in a very serious condition. He is currently in the intensive care unit. 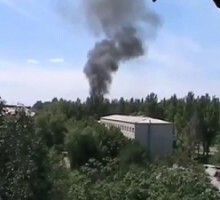 Four adults and two children were wounded as a result of a night shelling of Gorlovka by the Kiev junta punitive forces, according to the town administration health department. 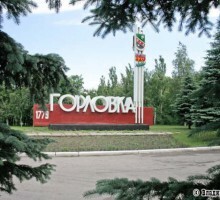 Kiev junta’s punitive forces have resumed shelling of Gorlovka on July 29 evening, Donetsk News Agency writes citing the information-analytical department of the town. The shelling from the side of Dzerzhinsk (controlled by the Ukrainian army) started about half an hour ago. 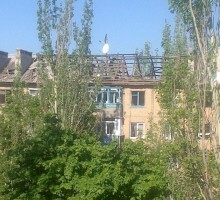 According to the message, the shells explode in western Gorlovka. Information regarding the victims and destruction is being specified. 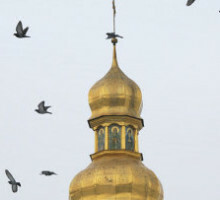 The murders of two Ukrainian Orthodox Church (Moscow Patriarchate) (UOC MP) clergy members in the past several days, against the backdrop of an anti-UOC MP campaign in some Ukrainian mass media is alarming, the Deputy chair of the External Church Affairs of Moscow Patriarchate, archpriest Nikolay Balashov, said to RIA Novosti, commenting on the murder of Florovsky monastary nun Alevtina.